The World of Sicilian Wine explores Sicilian wine, from its ancient roots to its modern evolution. This blog is for wine lovers who are discovering Sicily in a genuine search for terroir. Bill Nesto, an expert in Italian wine, and Frances Di Savino, a student of Italian culture, have co-authored the just-published University of California Press book of the same title. This site offers our readers the opportunity to embrace this vibrant wine region in both words and images. Benvinuta! As the sun sets on 2014, both Pantelleria and Marsala are glistening. On November 26, 2014 Italy’s Minister of Agriculture announced that UNESCO has awarded World Heritage status to the traditional bush-training system for grapevines used on the island of Pantelleria known as alberello pantesco. Planted in shallow craters dug in the black volcanic soil and sheltered from the Sahara’s winds by lava stone walls, the alberello vines of Pantelleria’s Zibibbo (Muscat of Alexandria) variety produce the island’s golden Moscato di Pantelleria and Passito di Pantelleria wines. This recognition of alberello pantesco is the first time that UNESCO has distinguished an agricultural practice as an “Intangible Cultural Heritage of Humanity”. Donnafugata’s Kabir Moscato di Pantelleria and Ben Ryé Passito di Pantelleria are pure expressions of the fruit of this ancient viticulture – and an ideal way to toast the christening of the alberello pantesco. We salute the winegrowers of Pantelleria for preserving and protecting their island’s true patrimony. On the cusp of the New Year, Marsala has been christened in a different realm – the world of visual design. 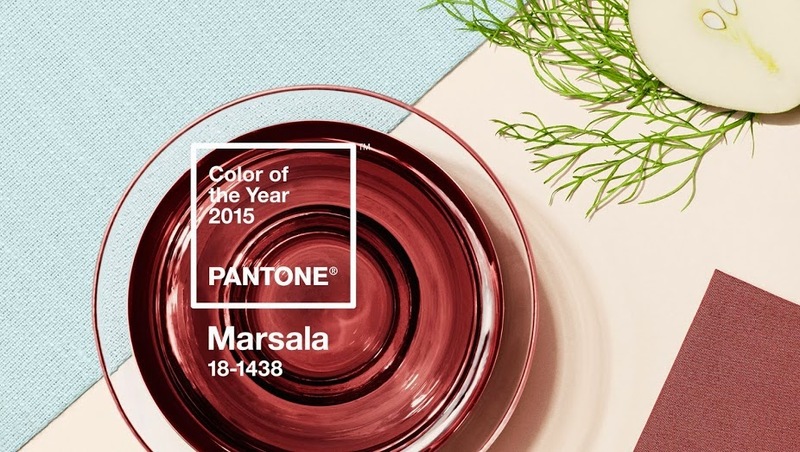 Pantone has named Marsala the “Color of the Year” for 2015. It is a reddish-brown color (#18-1438), evocative of an older and rarer Marsala fortified wine type known as Marsala Rubino. Beginning in 1984 the Marsala DOC reinstated this ruby version of Marsala (which was more common in the nineteenth century). A blend of Sicily’s native varieties, Pignatello (Perricone), Nero d’Avola and/or Nerello Mascalese, Marsala Rubino is made in three styles – dolce, secco, and semisecco. In introducing Pantone 18-1438, Pantone describes the color as “naturally robust and earthy wine red, Marsala enriches our minds, bodies and souls”. Following this debut of the color Marsala to the world, we hope that the winegrowers of Marsala will themselves rediscover the beauty of their authentic Marsala Rubino (and Vergine) wines – and Marsala once more will enrich our minds, bodies and souls. Happy New Year to Pantelleria, Marsala and to Sicily! COPYRIGHT ©2013 NESTO DI SAVINO. ALL RIGHTS RESERVED. Powered by Blogger.